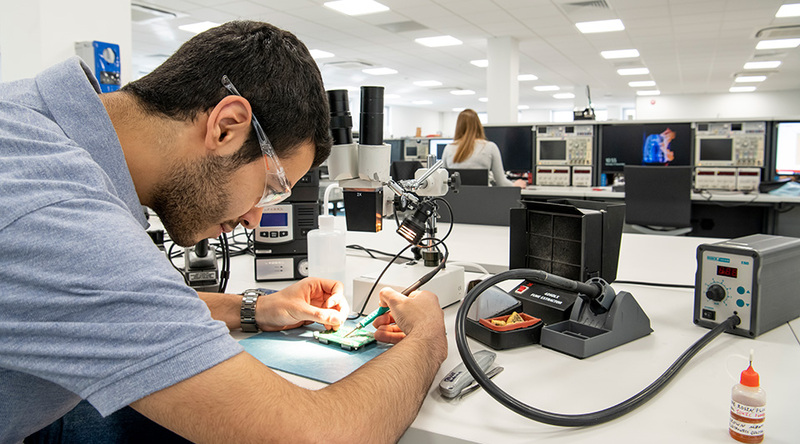 Opened in Autumn 2018, the hardware projects laboratory offers world class facilities and equipment specifically for senior undergraduate and MSc students. It is a versatile area for industrial led projects and comprises four complementary areas to facilitate the project life cycle from initial concept through design and testing to a functional prototype. The facilities are underpinned by in-lab support from specialist technicians and academic staff. 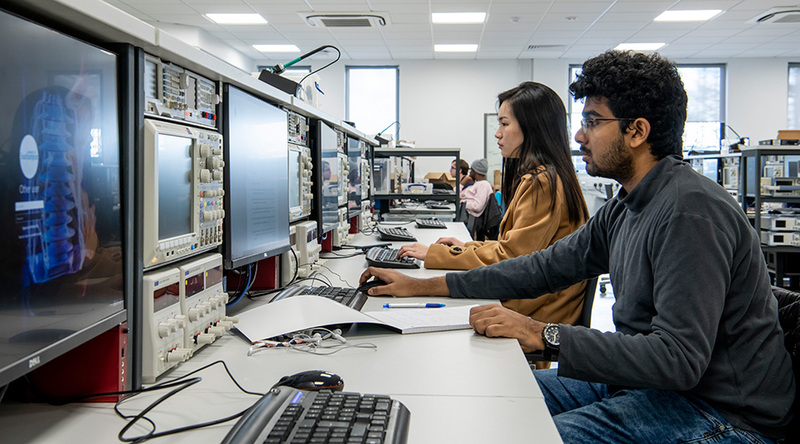 The lab also provides a dedicated area for high voltage projects in association with the Tony Davies High Voltage Laboratory. 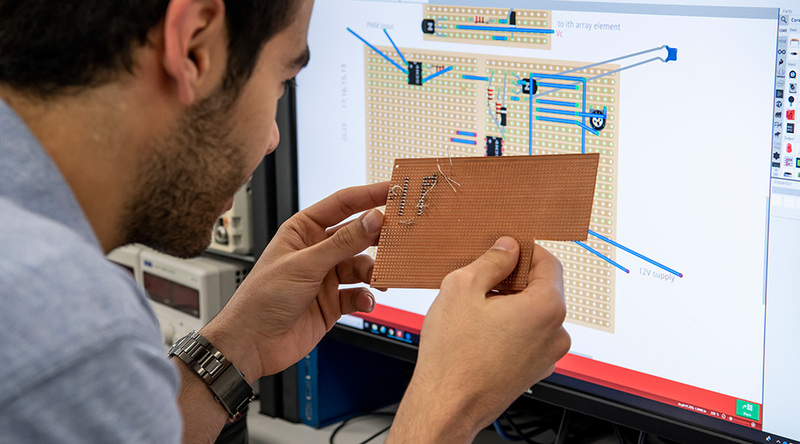 The four areas comprise an electrical and electronic design and prototyping suite, high voltage (HV) testing area, PCB manufacturing area, and maker space. The design and prototyping suite is configured to accommodate both individual and group projects using an innovative benching solution pioneered at Southampton; the benches are equipped with highly specified test equipment from industry leaders, powerful PCs, and the equipment is arranged to offer best of class ergonomics. The area also includes an 86” interactive display for design presentations and brainstorming. The HV testing area provides facilities for breakdown, impulse ageing and conductivity testing. The PCB manufacturing area contains tools for the complete process from PCB fabrication to assembly and rework; tools include fabrication machine, pick-and-place machine, reflow oven, rework stations and inspection equipment. 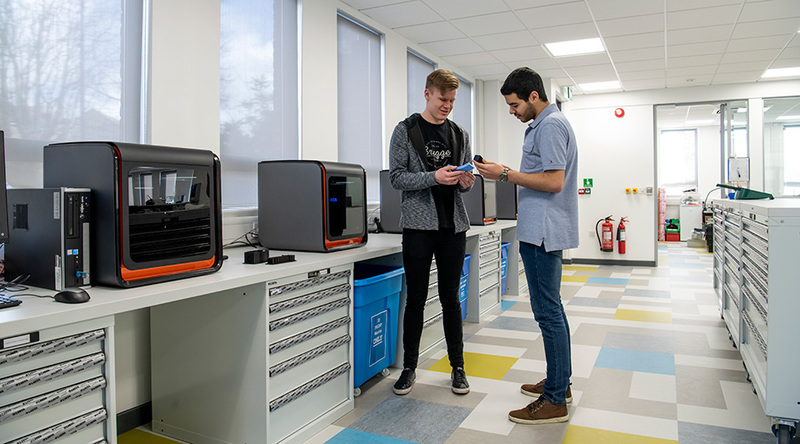 The maker space contains a panoply of tools for additive and subtractive manufacturing combining more established tools with the latest in 3D-printing, laser cutting and moulding technology.